No. 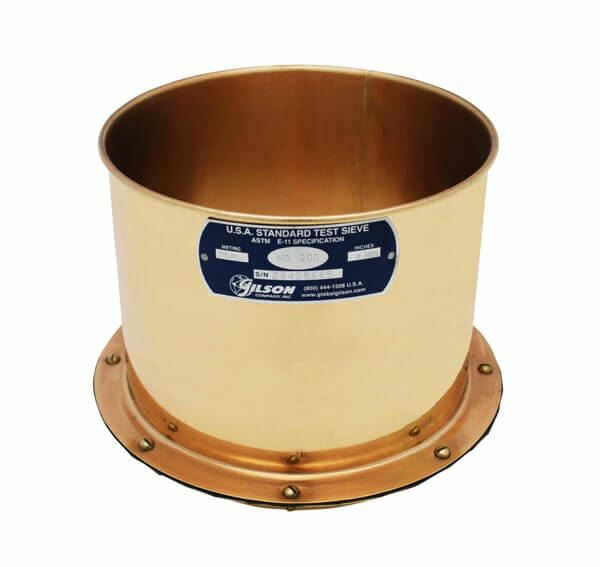 325 Replaceable Mesh Wet-Wash Sieve, 8x6in - Gilson Co.
8in (203mm) diameter ASTM E11 Replaceable Mesh Wet-Wash Sieve is constructed of brass and has stainless steel mesh with No. 325 (45µm) openings. 8" Sieve, Brass/Stainless, Full Height, 2-1/2"